Alex Newman is presently a Senior Lecturer in Management at Monash University, Melbourne, Australia. He teaches and has published extensively in the area of business management, with a specific focus on leadership, organizational behaviour and entrepreneurship. From 2004 to 2012 he worked as a Teaching Fellow, Assistant Professor and Associate Professor at the University of Nottingham’s China Campus, in Ningbo, Zhejiang Province. At the same time he undertook a PhD part-time, graduating in 2010. He was one of Nottingham’s first employees in China and watched the China Campus grow from 254 students in its first year, to over 5000 today. Dr Newman shares his experience of working in China. 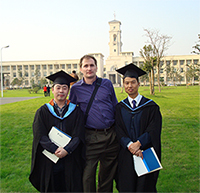 Working at the University of Nottingham’s China Campus allowed me to combine work as a teaching fellow with PhD study on Chinese management. Being in China allowed me to conduct my research more effectively and earn a reasonable salary at the same time. In addition to searching the Internet about living in China I undertook a short language course in Mandarin. I also asked colleagues with previous experience in China for their advice. The visa process was pretty straightforward. The University of Nottingham handled all the paperwork. They have a good working relationship with the government and are typically able to process the visa within a month to six weeks. The only downside to working in China is that you have to renew the Chinese visa every year. This is inconvenient. Working in China 10 years ago was an eye-opener given China had just entered the World Trade Organization and the economy was growing at a rapid pace. I was surprised at how dynamic the Chinese society was at that time compared to other countries I had worked in. I was also impressed with the entrepreneurial spirit of the Chinese people, something which is missing in the developed world where many people have become complacent with their lot in the world. In the first few weeks I strived to learn survival Chinese to allow me to communicate effectively. In China I was in a teaching role for the first six years, then employed in a teaching and research role for the final two years. I taught international business and introduction to business modules in English, both at the undergraduate and postgraduate level. I conducted research on leadership, organizational behaviour and entrepreneurship within the Chinese business context. My research involved surveying employees and senior management across a wide variety of industries. The university supported my research in the form of small research grants and grants for travel to conferences. I typically taught for around 12 to 15 hours per week in a teaching role and 6 to 8 hours per week in a teaching and research role. I spent the rest of the time doing research. The higher education sector is significantly larger than that in other countries, and there is huge diversity within the sector. Universities are ranked in three main bands, and this affects their ability to recruit quality students from the high school exam. It also influences their ability to attract funding from the central, provincial and local governments. In addition, a small but growing number of foreign providers have entered the sector, and they are treated differently from domestic universities, typically being allowed to charge higher fees. I feel the top universities in China are gradually becoming more competitive globally and provide a quality of education that is comparable to that in the developed world. However, the lower ranked universities are comparatively weaker. Foreign universities are also leveraging their position in China to build research capacity and a global reputation. I think academics must be prepared for the fact that Chinese students do not typically voice their opinions as much as students in the UK and other Western countries. In addition, Chinese students tend not to been educated to question other’s opinions and think in a critical way. It is therefore important for academics to understand this, be prepared to teach students these important skills, and not get disheartened when they begin teaching in China. As for the positives, the quality of English amongst Chinese students has improved considerably over the last decade due to educational reform which has stressed the importance of being competent in both written and oral English. In addition, I would say that Chinese students are hardworking and enthusiastic learners, which makes them easy to teach. As Nottingham University was able to recruit undergraduate students from the highest level of the Chinese high school entrance exam (the GaoKao), the quality of students I taught was very high. As a result I was able to teach in an interactive way and teaching was very enjoyable. In comparison, it was harder to teach postgraduate students, most of whom had done their undergraduate studies in China, given they had become used to a teacher-centered style of teaching. For these students I had to spend significant time teaching them study skills. For expatriates living in China it is somewhat difficult to make Chinese friends, as China is a ‘guanxi’ (connection) based society where it is difficult to build relationships with outsiders. As a result, expatriates typically socialize with other foreigners in an ‘expatriate bubble’, especially in the smaller cities. In the larger cities such as Shanghai and Beijing it is easier to build Chinese friends as there are more people with an international mindset. There are also a wider range of social groups and clubs one can join. However, in the smaller cities your social life is typically more constrained. For individuals living in these cities I would stress that it is important to learn Chinese in order to have a fulfilling social life. What was daily living like? The university provided us with a choice of living on campus, or seeking our own accommodation off-campus for which a subsidy was provided. Typically the on-campus accommodation at most universities consists of a two-bedroom furnished apartment. We normally travelled around by bus or taxi. There is not much point in buying a car as public transport and taxis are relatively cheap and convenient. In smaller cities such as Ningbo, there are a growing number of services and facilities for expatriates. We had a choice of three international schools for our children. I was impressed with the quality of education they provided. Class sizes were typically small and students received individualized attention. We were also able to buy most things that we needed in Ningbo, although the range of products was not as wide as that in the larger cities. For that we travelled every other month to Shanghai. By the time we had left China, a large number of retail chains had established in Ningbo including Walmart, H&M, Zara and Carrefour. However, one downside to living in a smaller city was that the healthcare services were not as professional as those in larger cities. As no international healthcare providers had set up in Ningbo by the time we left China, we travelled to Shanghai for more serious issues, only going to local doctors for minor illnesses. As is standard in most foreign universities operating in China, international health insurance was provided to expatriate employees to allow them to cover the costs of seeing an international provider in the larger cities. What did you enjoy most about your time in China? I really enjoyed learning about another culture and building expertise in the area of Chinese business management. In addition, as my time in China coincided with the period of rapid economic growth in China. when China held the Beijing Olympics and the Shanghai World Expo, I feel I witnessed a special time in China’s history. This in itself was an extremely exciting experience. Obviously language is a big barrier to those wanting to conduct research in China. Although it doesn’t take long to become proficient in basic Mandarin, it would take two or three years of intense study to become fluent at the level required to conduct research in most social science disciplines. In addition, you must spend a great deal of time to build relationships as a means to gain access to organizations in which to conduct research and obtain research funding. I would therefore advise individuals who wish to conduct research in China to build strategic relationships with local scholars in order to benefit most from working in China. Working in China really allowed me to develop my identity as an academic and has been invaluable in helping me to build a research portfolio. To the present day I have a number of successful collaborations with Chinese scholars at both top Chinese and Sino-foreign universities that I built whilst working in China. I have leveraged these relationships since moving to Australia to access research data and obtain funding from the Chinese government authorities. For example, I have published over 15 articles in the last three years with Chinese co-authors, and was co-applicant on a successful grant application to the National Science Foundation of China with colleagues from Zhejiang University. I think the best moment for me was when I obtained a PhD after 4 years of part-time study. I really appreciate the support the University of Nottingham provided in allowing me to study whilst working full-time. In addition, having two children whilst working in China was a life-changing experience for both me and my wife. 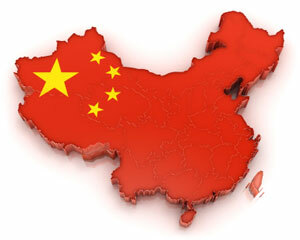 I would probably advise academics from overseas to use China as a stepping-stone in their research careers. It is a good place to be for early or late career academics in the short to medium-term, but the lack of a social security system and retirement benefit provision prevent it from being a credible long-term option for many without family ties to the country. I would say a period of five years is an ideal length of time to build up good connections with Chinese scholars that can be maintained once one has moved away from China. Academics are also exempt from income tax for a period of 2 to 7 years, depending on their nationality (typically 3 years for EU citizens but 7 years for many former Communist countries). This makes it an ideal place for young academics to stay for a few years and build up savings. Please note this does not amount to tax advice. Do not rely on any statement made as tax legislation might have changed since this case study went into print. Please check the relevant tax treaty between China and your home country to determine whether you will be eligible for income tax exemption. Please note tax exemptions are only presently available for those in education-focused not management roles.